Every month you see that bill…$50, $100 or even more, just to watch cable TV. If you’re old enough, you can remember when TV used to be free. The only people who had cable were those who lived in remote areas and couldn’t get TV reception otherwise. These days, about 90 percent of homes have cable. And chances are, you’d love to find a way to get rid of that bill. In fact, a recent Harris poll showed that five or every nine U. S. adults would switch from cable to online options if it met their requirements. But is it possible? Even with all the options now available online, will you be happy to cut your cable? Here’s our ultimate guide to help you make that decision. Well, the pros are obvious…cost savings and control. 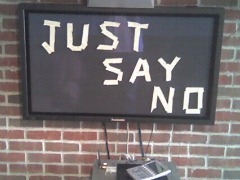 Watch what you want, when you want, on the TV’s and devices you want, without paying an arm and a leg for the privilege. Cons? If you’re a big fan of live sports, live news channels, local community programming and anything else that you are unlikely to find online. Still, there are options you can consider. Whatever you select, remember: if you cancel your cable, you can always change your mind. No doubt he cable company will be more than happy to reconnect you – and might even offer you a better deal to get you back. Remember, there are two things you need to think about: content and setup. Content means the types of shows and videos you want to watch – movies, TV shows, etc. Setup is the technical side – do you want to watch on that nice big TV in your living room, or would you rather watch on your computer? Or maybe watch on your iPad? So let’s talk about sources of content first. For $7.99 a month, you get unlimited movies & TV episodes instantly over the Internet to your TV or computer, with no commercials, and you can pause, rewind, fast forward or rewatch as often as you like. 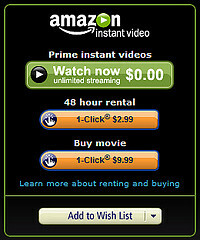 You can watch instantly on your computer, or on your TV with a streaming device (more about that later). You also can watch Netflix on your iPad, with their free downloadable app (only the app is free, you still have to pay for a subscription.) Or you can get their DVD’s-in-the-mail rental plan for $7.99 a month. Or you can get both. Until recently, Netflix offered a discount for combining the two services, but not anymore. See more Netflix coupons, including a free trial offer. Regular Hulu (free): watch it on your computer only; standard definition, and up to 5 recent episodes of popular current season shows, plus over 1,000 seasons of current and classic shows (comprising more than 29,000 episodes). Hulu Plus ($7.99 per month): watch on your computer, smartphone, tablet, TV, gaming console, etc. Get all current season episodes from popular shows such as 30 Rock, The Office, Saturday Night Live, House, etc. Over 1,000 seasons of current and classic shows (comprising more than 33,000 episodes, 16,000 of which are available on all supported devices). 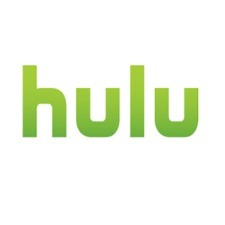 More than 70 Hulu Plus-only shows. Hulu offers movies as well, though fewer than Netflix. One downside of Hulu: commercials. Instantly watch thousands of movies and TV shows on a Mac, PC, handheld video player, or your compatible TV or connected device commercial-free without any downloads required. Most rentals are $3.99 for 24 hours, but they do run $.99 specials on occasion. When you choose the Watch Now feature, you get instant access to your video on a Mac or PC through your web browser using Adobe Flash Player. 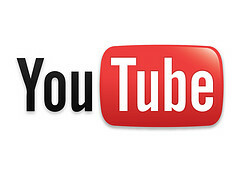 The videos play back right in your computer’s web browser without requiring the download of large files or installation of video player software. Or you can download videos to watch later. Although much of Amazon’s movie offerings are on a pay-per-show basis, their Instant Video service is included with their Amazon Prime membership, which is better known for offering two-day shipping upgrades on all items for a flat fee of $79 per year. Amazon Prime members can enjoy instant videos: unlimited, commercial-free, instant streaming of 5,000 movies and TV shows through Amazon Instant Video at no additional cost. Eligible customers can try out a membership by starting a free trial. Still, video selection is limited compared to Netflix. The selection is extensive; you can find most TV shows and movies here. Most HD movie rentals are $3.99, and most single episode TV show rentals are $0.99. You can rent or own the latest episode as early as one day after it airs — or rent or purchase past episodes you missed. Choose from thousands of commercial-free episodes. For shows that air daily, a Multi-Pass lets you enjoy a month’s worth of episodes. 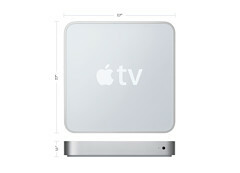 Just download and watch on your computer, iPhone, iPad, iPod touch, or television via their Apple TV gadget. You’re guaranteed perfect compatibility among all your Apple devices. Downside: no all-you-can-eat monthly plan. 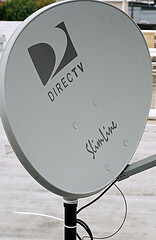 Dish Network and DirecTV are the two major services. You can compare them at: MyRateplan.com. There are two issues you need to consider here — the equipment itself, and the monthly bill impact for programming services related to the equipment. Satellite has a starting cost around $30 per month, which includes local channels. Each additional receiver will carry a charge, plus a monthly fee of around $5. Upside of satellite: the offerings are the most similar to cable TV – you’ll see all your favorite channels, and it may cost a bit less than cable. Downside: satelllite TV is subject to interruptions in severe weather. Yes, you can still watch regular, over-the-air TV. It’s digital now though, so you will need either a digital-ready TV or a digital receiver that costs about $40 and plugs into the TV. You’ll also need an antenna, which will cost anywhere from under $20 to several times more, depending how powerful you need it. 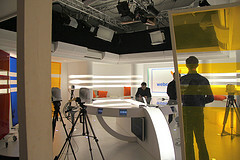 To find out what broadcast channels are available in your area, visit AntennaWeb.org and enter your address. The results will tell you not only what channels are available, but also how far away they are, and what kind of antenna you’ll need. If you’re really at a distance, you’ll likely need one of those big rooftop jobs to pick up TV signals. But if you’re closer to TV transmitters, you can get by with a smaller, cheaper antenna. If that’s the case, then broadcast TV is a great, inexpensive option to watch your local channels live as you normally do, and then you can supplement that with an online video plan as described above. Of course, there’s always Youtube. It’s amazing how much you can find there. And many networks put full episodes of their shows right on their own sites. For example, you can watch Dancing with the Stars on ABC’s website (you do have to sit through brief commercials though). CNN and Fox News, among others, post lots of breaking news videos. 1. Directly connect your computer to your TV. This is the cheapest way to watch online videos on your bigger screen. If your computer and TV share common connectors, connecting your TV to your computer may be as simple as using the right cable and adjusting the video and audio settings on your computer. Amazon has a great guide that explains how to do this. It’s especially easy if your TV has a VGA port. Then, all you do is unhook the VGA connector from your computer monitor, and plug it into the TV. Roku is a very small box ($60 – $99 one-time cost) that you attach to your TV via a cable. 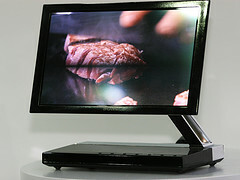 It is wifi-enabled to use your computer’s internet connection, and it streams movies, TV shows, music and other content to your TV via that connection. All Roku boxes come with Roku’s Channel Store of more than 250 channels, allowing access to not only Netflix Watch Instantly, Amazon Instant Video and Hulu Plus, (subscriptions requires for each of those), plus many free channels such as Roku Newscaster, which includes full shows from 60 Minutes, Katie Couric, Anderson Cooper, and Rachel Maddow. The Roku XD works with virtually any TV, sets up in six minutes and features long-range wireless and up to 1080p HD video quality. Their little black box is $99. Rent from the largest selection of HD movies — many available the same day they come out on DVD. 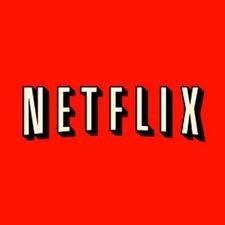 Watch Netflix titles instantly. Rent TV shows, commercial free in HD. And stream photos and music from your computer to your widescreen TV. 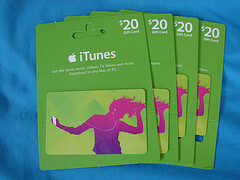 You get Apple reliability and compatibility with other devices like iPhones and iPads. 1. Watch at friends’ houses or at sports bars. Downside: spending money on gas, food and drinks; this could negate your savings from cable TV. 2. You can find some some games on ESPN3. In order to access this, you must receive your Internet service or, in some instances, your television service through one of their listed providers. In addition, viewers on U.S. college campuses and military bases are always able to access ESPN3. 3. Buy online viewing passes. These usually run from $50-120 for the season, depending on the sport. –NHL GameCenterLive offers live broadcasts (watch up to 40 out of market games each week, full length DVR like archives and the ability to watch up to 4 games at a time (using split screen mode). As of today, pricing is $79 for the season. -Major League Baseball games can be watched on your with an MLB.tv subscription. As of today, pricing is $119/year which includes home and away broadcasts, full game archives, multi-game view (PIP, Split Screen or Quad) and Live DVR Controls. –NBA.com offers a service called NBA League Pass which lets you watch live games via broadband or mobile device. Their Choice plan, $24.95/year, lets you to watch live games for up to 7 teams and their Premium plan is $49.95 for all 30 teams. In addition all games can be accessed with an on demand archive. And if you’re wondering about NFL football – well, that’s a problem. The NFL depends heavily on TV revenue and they don’t currently offer an online live game viewing plan.